Ahead of Facebook's IPO, it's only natural that the social network is looking around for new ways to monetize its usage -- and please its new shareholders. Enter Facebook's latest revenue generator: Running ads on mobile versions of the site, which currently attract roughly 400 million monthly users. Earlier this month, Facebook struck a deal with Bango, a United Kingdom-based, mobile-payment service provider that has the technology to enable commerce on mobile devices. And while terms haven't been disclosed, I've heard plenty of speculation that Facebook will unleash mobile advertising beginning as soon as March 1. And supposedly it will be unlike anything we've seen before. First off, the notion of mobile advertising strikes me as intrusive, annoying and alienating. For one thing, it’s hard enough to read anything crammed onto a 2-by-3-inch screen, and now you want to crowbar an ad onto that limited real estate? And I’m not even going to go into what that ad might do to the connection speed or lack thereof. When it comes to my mobile device, don’t interrupt my experience -- enhance my experience. In order to do this, Facebook must move beyond traditional digital advertising as such a large percentage of its revenue and instead evolve advertising in unique and compelling ways around user-generated content without being overly intrusive. 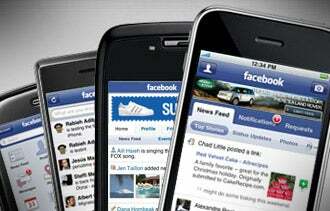 About 85 percent of Facebook’s revenue currently comes from advertising, compared to about 95 percent of Google’s. But Google can be forgiven because its marriage of search and advertising is a natural part of its value proposition. Not so for Facebook, which may eventually run into trouble if it continues to rely on revenue from a product that is not inherently part of its value proposition to users. If Facebook is smart about this thing, they’ll deliver me an ad that’s geo-location specific, interactive and initiated by me. But limiting my News Feed view with a soft drink or automotive ad -- something I don’t need at the moment -- is likely to prompt me to ditch my FB mobile app. Of course, I could be wrong. According to eMarketer, two-thirds of mobile phone users say they’re comfortable with mobile ads. And Nielson reports 51 percent of consumers are OK with advertising on their devices if they can access content for free. So what's the relevance of all of this to you and your business? Tread lightly where mobile advertising is concerned because you might just alienate users. Worse yet, you might pay for something that no one chooses to see. How have you used mobile devices to spread the word about your business? Leave a comment and let us know.